Saul Marquez: Hey Outcomes Rocket listeners thanks for tuning into the podcast again. Tired of your businesses healthcare costs unpredictably increasing every year? Healthcare costs are typically a business’s second or third line item expense. And if you’re like most employers, it’s an expense that’s growing faster than your revenue. Luckily for employers Noveta Health has the solution. Noveta Health is a full service healthcare consulting firm with proven strategies to lower your health care costs by up to 30% or more. They operate on a fee for service model and never mark up any of their medical or pharmaceutical claims. None of your employees have to leave their doctor or pharmacist either. Their health captive and pharmacy benefit manager are the most cost effective and transparent solutions in the whole country. What they do is not magic. It’s just honest. So if you’re tired of over spending on health insurance and want to learn more visit outcomesrocket.health/save for a free spend analysis to see how you too could save by switching to Noveta Health. That’s outcomesrocket.health/save for your free spend analysis outcomesrocket.health/save. Saul Marquez: Welcome back to the podcast. Really appreciate you tuning in again today have a special guest for you. His name is Chris Cornue. He’s a Chief Strategy and Innovation Officer at Navicent Health. He’s passionate about healthcare and impacting organizations domestically and globally to create healthier, more efficient, better accessible, more integrated, technology enabled, and person-centric healthcare delivery environments. The future of healthcare is global. 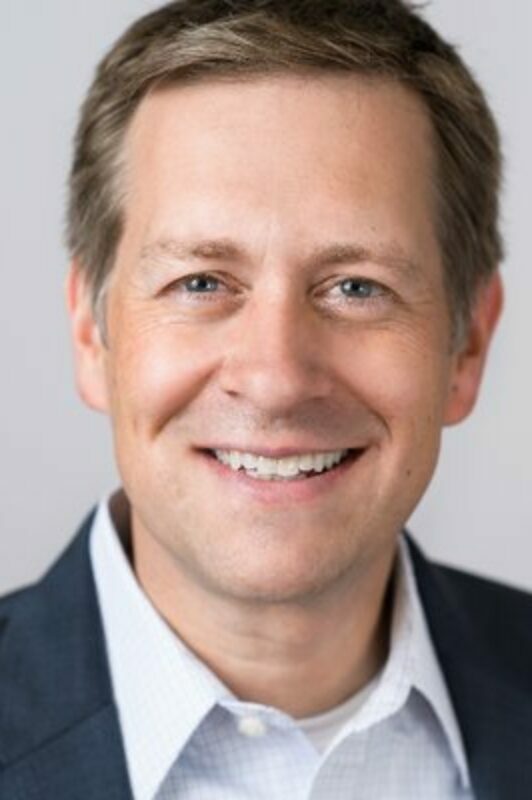 And Chris brings more than 20 years of professional healthcare experience where he leverages expertise and leaderships, operations, strategy, innovation, physician relationships, and clinical performance, both domestically and globally. He previously served as Executive Leader of Consulting and Futurist with Sg2 to global healthcare analytics and intelligence company. He was the CEO of McKee Medical Center where he led the organization to strong financial and top decile performance and quality outcomes and patient satisfaction. And he’s done a number of other things with technological advances, service line integrations within healthcare provider institutions so it’s a true pleasure to have Chris on the podcast today. And Chris why don’t you fill in any of the blanks there on the intro that you may want to share with the listeners? Welcome. Christopher Cornue: Thanks so much. It’s wonderful to be here and Saul I think that you cover the majority of it the only thing that I would say is it’s been helpful with my career as well as it’s a combination of both academic medical center experience in the past and then also community based hospitals. And I think that gives me a really strong perspective of the importance for everything we do in healthcare in order to go back into improving the health of the community. So I think that those early parts like we’re working in those environments also helped me with what led you today to. Saul Marquez: Great great fill out there I agree is a great point Chris. Now what got you into the medical sector to begin with? Christopher Cornue: It’s interesting. I think like many individuals who end up going into hospitals and health systems or or leaders in the health industry I was starting to be a physician. I was training to be one, finance has gotten away and so I end up going a different track than what was expected and so ended up going into the Healthcare Administration world. So because of that initial beginning of my career where I wanted to be physician it was very important for me to improve healthcare from that perspective. I’ve channeled that into this different track of my career that I’ve followed ever since which is to create the environment that’s helpful for physicians and caregivers to be able to provide the best care they can. And you know that’s a ball and of course of the last 20 years where now it’s not just in a hospital setting it’s much more and probably even more important do so in the community based setting. So that’s kind of the trajectory that end up shifting for me and now I’ve been on that side of the healthcare industry now. Saul Marquez: That’s brilliant. So you pivoted from aiming to be a provider to now creating environments to help providers have success. You’ve done so for many years and I’m just curious Chris what you believe is a hot topic that needs to be on every health leaders agenda and how are you guys approaching it? Christopher Cornue: I think the biggest thing is that we need to be able to be able to create change for healthcare. And again the different types of models that we need to be having I don’t think anybody who’s listening is going to be thinking any differently that we need to reinvent or at least evolve healthcare system to one which will be more consumer facing a little more consumer focused but also more importantly is across a wider system of care than just the acute care sector as I’ve mentioned before. And as a result of that you know I think that one of the ways that we’re able to get to a different outcome or a different environment to be able to elevate the health of communities, for us it’s a very strong focus around combining strategy and innovation which again is why I’m in a role which is the strategy officer and innovation officer not very common in healthcare systems but the importance for that was to make sure that we can marry what happens from a strategic focus where we are planning for relevance in the future and we’re doing it in different ways. But we’re always making sure that we’re figuring out where we need to be going. And then we have our innovation work which is helping to create change and we’re doing that in a strong alignment with strategy. So I think for us to be successful in the future we need to be aligning our strategy and our innovation work. And that’s one of the things that we’re working to do with Navicent. Saul Marquez: Love it. So give us an example Chris of something you guys have done to create results and improve outcomes. Christopher Cornue: It’s probably good to level set this a little bit too with our strategy focus and again people who are in the industry will be familiar with many of the things that I’ll be talking about. But we really anchored our strategies around, four guiding objectives and the way that we thought about this is that for us to be relevant successful in the future, we thought it was important for us to focus on four things. One demonstrate value by taking on risk. So it’s the movement from the fee for service to care base model where Accountable Care Organizations were being paid for episodes of care et cetera. And with that we need to be improving our quality, reducing our costs, identifying revenue streams and all that type of thing. So that’s the first. The second is the importance around the consumer that I had mentioned previously already and that is how do we go ahead and engage with consumers in meaningful ways and so recognizing that so much of the care nowadays is going to be focused on the consumer with their out-of-pocket expenses, changing the healthcare system to be one that’s recognized in the consumer as opposed to the convenience of physicians or people who work in the hospital. How do we go ahead and do that? The third is how do we go ahead and leverage new and disruptive technologies or how do we create an innovative world? And that’s e-health, the virtual health, the mobile health, but it’s also how do we go ahead and do things differently. And then the fourth is really our strong focus and this is kind of getting me to some of the things we’ve done in alignment with strategy innovation. But the fourth strategic guiding objective is how we go ahead and focus on population health. But we don’t like to use the word population health because what we’ve seen and what we believe is that one person has a definition for population health and it’s different from somebody else’s. So words are very important for us. And what we tried to do is to make sure that we’re all aligned around what that end outcome is and that is not Population Health For us it’s to create healthy communities. And so that’s our fourth guiding objective. When you unpack that fourth guiding objective we have a focus on health equity access affordability the triple and quadruple aim all those things that come into it including how do we go ahead and help to take care of vulnerable communities. So the marriage between having the focus around creating healthy communities for us is also within the innovative work that we end up doing to make that happen. And so we’ve worked with a lot of different startups, a lot of different people who come to us and we also find out in the community not only just in Georgia but then throughout the United States and globally. And we ask them to come up with some solutions that help us to address our problems. Examples of this would be apps that were developed for adherence et cetera. And so you know as we work to help address health equity and to get people healthier in their communities, we’ve used some of these different technologies to help make sure that for example COPD patients that when they go back out in the community they’re able to then follow up with the care that they need to, they’re able to make sure that they’re following their regimen, they can continue to work and interface with our respiratory department. And then what’s happened as a result is we’ve eliminated some of the disparities that exist in our community. So that’s a sort of a long winded explanation but the point is getting to the point where we are impacting care in the community ties directly some of the work we’ve done innovatively back into the overall strategies for the organization. So thanks for allowing me to go through that long explanation but it kind of gets us there. Saul Marquez: Now you know Chris I love it. I feel like it was concise in because how deep you out with it demonstrating value by adding more risk value based care is big and people are willing to dive deeper on that consumerism of health care you got you know Amazon and Apple and all these tech companies wanted to play here with disruptive technologies and I love what you the point that you made on unchanging population health which could mean a lot of different things to different people to create healthy communities I mean it doesn’t get any clearer than that that clarity is key. And definitely give you kudos for being able to verbalize this in such a clear and easy way to understand what would you say is an example of maybe a time that things didn’t go your way a setback and what you learn from that that’s made you better? Christopher Cornue: Anybody who’s in healthcare if you ask them Have they had setbacks or how are they done with implementing things. They say everything always goes perfectly right. Well you gotta run away from them because you know they’re not on the truth in healthcare just in general. But also in the room when you do something run innovation you’ve just always gotta be figuring out a different way or better ways to approach you to engage people to buy into change, to help drive the change internally, et cetera. And I don’t think that people… it’s not that they don’t want to change it’s just that sometimes it’s hard for them to get outside of their own perspectives and kind of moving them a little bit further ahead as far as how they need to be doing things differently. So I think that they want to but they just don’t know how to do that. So a great example and we created a couple of years ago the Center for Disruption and Innovation which looked to be able to kind of pick apart a little bit for you as well if that makes sense. But one of the things we’re looking to do is to create a different approach around some of the work we’ve been doing with staffing and that’s a very expensive proposition where you need to be able to fill vacancies with agencies and so we had an opportunity to work closely with an external partner to commercialize and to create a new approach around this and internally we have people who are ready to chip in. So yes we are going to do that. We know it’s important. We have to reduce our costs and we have to be able to make sure that we have the care and the care providers there in order to take care of this. But sometimes I think we and I’m speaking for myself sometimes we end up pushing a little bit too far and we know that the end is a mine and where we need to be going. But the individuals that we need to kind of help guide us there and to be the people who actually execute on these strategies and these different type innovations they’re not quite there yet. And so sometimes when you’re trying to get people fast into a point where they can make a good impact we need to do it at their pace. It’s kind of like I think of a cliff and in order for people to change you’ve got to take them outside of their comfort zone and push them to that edge of the cliff. But the thing is you can’t push them over because then you’ll never get them back. And so it’s really recognizing and we found this out through this example that I mentioned and a couple others. It’s recognizing where is that comfort zone that you can push people just a little bit outside of so that they can help change what they need to be doing but then where you don’t use them as a result and a lot learned from that as we work to get people fairly young into our center for disruptive innovation. We work to get people onboard and help to champion the work we’re doing but then also making sure that they were comfortable doing that. So that’s one example. Saul Marquez: Yeah it’s a tough balance to achieve. So how far do you push and how fast do you push. Now I’ve got to make sure you don’t push too far because they won’t come back. I mean any organization especially when you get to the size of your organization like the one you’re at Chris it’s definitely important to think of retention strategies and replacement strategies. Saul Marquez: Yeah. So what would you say today is your proudest medical leadership experience? Christopher Cornue: I think that it’s really positioning what we’ve done around the CFDI not from the work that comes from that that ragtag group of four to five individuals that are helping to make change. But it’s what happens when the champions across the system are coming forward and saying yes we made this change happen and they’re owning it. Part of the success I think with innovation is not so much as saying yes let’s go ahead do the innovation let’s make it work and all that type of stuff. It’s having individuals that the organization that can be the right expert partners but then from an operational or an execution perspective are able to take it to own it and then drive it to success and what other groups of individuals across our system that have been the most impressive with regard to champions have been the physicians and I think it’s because they are very deep into the caring for the patient their passion by what it means to make that change happen. And they get the analytic perspective of making that change happen as well and so maybe it should have been a surprise but it was looking in retrospect that our biggest champions have been physicians who have latched onto the work that the innovation group is doing and they said yep I’m there I’m going to support you we’re going to make this change happen. And it’s been a real success from that. So I’d say that it’s creating the champions that have been driving innovation and having at the forefront of that change and not the Innovation Group. What we try to do is to be influencers as opposed to being in the very front driving it. It’s the champion too because then they’ll make sure that the long term sustainability is there not us. Saul Marquez: Chris I think that’s really neat and sort of how you guys have structured it and how you created just initiative for the physicians to kind of step up. I mean just from the outside in I know that not every provider or institution is doing that. And so I’m sure the physician partners that have been engaged found it to be refreshing to have a forward thinking center like that to work with. Christopher Cornue: They have and I think that that’s one of the reasons that we’ve had some of the really good success in making some of the change we’ve created is because of the partnership but it’s also the leadership that has allowed for this change to happen across the organization from the very top with the president CEO who believes in the importance of change and the innovation all the way through across to bedside nurses to physicians that are driving this. I mean it truly has to be a collaborative experience and I’d say that if there was a challenge or if we’re looking and you’re not asking for this but if I was to offer up one of the challenges with this as well is do you end up really pushing out the need for change and saying “yep we are going to create change we’re going go ahead and do all this innovation we’re going to be front and center with others or do you end up proving yourself through some examples, some successes, and letting the champions bring that forward our desire and what we decide to do when we launch the Center for Disruption and Innovation is that we weren’t going to go forward and say here’s this big splash. And what we’re doing we kind of stayed behind or under the radar I should say behind the scenes to a certain extent and try to make sure that the work we did kind of demonstrated the value itself. And because innovation is hard it’s not an obvious department of an organization like environmental services or nursing where there’s a known structure, there’s a known hierarchy, everybody knows what goes on in those departments. Innovation is a little bit different. And so it ends up being either lost or it ends up being what are they doing over there in that department or those types of kind of misperceptions. And that’s the balance which I think is hard for any group that focuses on innovation is where is that line that you want to get ahead of people and making sure that they know what’s happening and the change that’s taking place versus in your face and then leading with it and then possibly taking the chance that you may end up failing. So there’s that fine line. I don’t think that we’ve ever formally found that right balance because it’s just hard. We’re just really trying to keep our heads down improving some of the work we’re doing and then letting that stand for itself and then again as I mentioned before the champions would end up taking that and driving that further. Saul Marquez: Love it. Yeah. You know and I think when people talk about balance I heard once a really great analogy is that you know it’s not really balanced. Balance implies kind of stagnation and just kind of static. It’s more of a rhythm right and seems like sometimes you get close and sometimes you get a little farther away. But as long as you continue working on it it’s that you stay in the right rhythm. Christopher Cornue: No that’s a great perspective but also it’s the blend right. Christopher Cornue: It’s got to be able to move forward with a couple different streams and neither of them are and being the predominant one at a particular time. But it’s a blend between that. Yeah I mean that’s true and we need to be maybe shifting some of that language to where people are thinking that it needs to be one way or another but it’s a blend that we can be successful with that. That’s the next thing I’ll work on. Saul Marquez: You’re always always staying on it Chris. Saul Marquez: Hey so what would you say today is an exciting project or focus you’re working on? Christopher Cornue: A lot of this stuff that we’ve been doing around the center for disruption innovation has been really instrumental in helping us to create change. And that’s the innovation world. The other thing that we’ve been doing is of course leading our organization towards creating change from a system perspective and from a strategic perspective. So I’d say the one of the biggest things is not necessarily grounded innovation but it’s the ability for us to kind of make change happen in a much bigger way. So we just finish work from a strategic perspective and it was a 16 month process of coming together with Carolinas Health system and creating a true home health are joining what was Carolinas Health system which is now a term health and then all becoming one system now in three states. And I think that’s probably one of the most significant changes of course for the organization because now we’re able to continue driving what we think that we need to be doing for the health of our communities with a larger system that has a little bit more experience and expertise but complements a lot of what we’re doing. As we’ve been driving this process, one of the biggest things that’s come from this that I’ve learned and I knew early on and when we started this and then as we drove it through towards completion as of January 1st of this year is the strategies we have in place are the right ones. The work we’re doing to create healthy communities to address equity of care, and access, and affordability, are all the right ones. But now we’re able to do it much faster than we could alone. And the beauty of what we’re doing is that together we are so much better. And the result of this is going to be our ability to across three states now impact and really elevate the health of everybody in our respective communities and so strategically. That’s been the big focus of the last 16 months while still trying to drive what we’re doing around, our local strategies as well as the innovations in place. So that’s probably the biggest one and most top of mind because now we’re working on the integration of the two organizations and it’s just recently came to a head about 25 days ago. Saul Marquez: You’ve been busy. Christopher Cornue: We all have. It’s been a huge effort that’s been I’d just say it’s been one of the most exciting experiences I’ve had. The team on both sides has been great and you just know that you’re doing the right thing for the organization. Well you both have the right cultures and you’re both excited about this and even during some maybe hiccups or some of the challenges as you go through this process, you always come back together and you just say you know what we’re gonna make it work. And I’ve been so lucky to work with amazing people both within my own organization and then now our wider organization. So it’s been a great labor of love over the last 16 months now. Saul Marquez: Answer quick question session, five questions followed by a book that you recommend to the listeners. You ready? Christopher Cornue: I am I’m hoping I can limit just one book but go ahead. Saul Marquez: All right. Here we go. What’s the best way to improve healthcare outcomes? Christopher Cornue: I think the best way to improve healthcare outcomes is to focus on the community as a whole and to drive it towards elevating the health of communities as I mentioned before. So it’s going to be a team effort. It can’t be done in silos. Christopher Cornue: Where people think that they’re able to effect change within their own areas as opposed to looking outside and doing this from a team approach. So getting that me thinking ends up getting in the way. And I think that’s the biggest mistake people. Christopher Cornue: It’s those four guiding objectives I talked about the beginning for us that’s been very clear. But having a path of where you’re going to be able to sustain long term relevance and change and then marching towards that with strong execution is how you go do it. Christopher Cornue: It’s the mission of the organization. So really in the end it’s to create the healthy communities and to elevate health and well-being through compassionate care. So that’s what grounds us and we actually went through a process in 2017 that we re-examined what that mission looked like and we adopted this current one which again galvanizes everything we end up doing together. Saul Marquez: Love it. And the last question Chris is a two part question, number one what is your number one health habit? And number two is what is your number one success habit? Christopher Cornue: Yeah probably my number one health habits and by habit you mean I do this every single day or that I work to try and do it? Saul Marquez: Or often enough. Yeah. Christopher Cornue: Okay. Thank you. Because I can’t say I do it every day. It’s really that reflective meditation. I try to do that. I try my best to do it twice a day. It doesn’t always happen but that’s probably the best one. Saul Marquez: Love it. And how about your number one success habit? Christopher Cornue: Success habit I would say it’s probably the volunteer work or the social work I end up doing where I’m trying to drive that global change. And it’s a habit where I don’t know if I’ve achieved that success but I believe the future healthcare is global. So my volunteer work I do with the International Society for Quality Health Care and some other organizations. I think it’s what’s going to lead me to future success in the future and not me specifically but our industry as a whole it’s all about creating that global change and not just thinking across our particular borders we need to be thinking that in collaboration with others. Saul Marquez: Love that. And Chris what book would you recommend to the listeners? Christopher Cornue: I don’t know if I should disclose the fact that I have a stack of about 90 books next to my bed that I’ve not finished but I would say it’s some common ones that everybody recognizes that I will get just one. But you know Simon Sinek’s Start With Why is incredibly important for me in grounding in the purpose and I think you probably heard some that throughout. Clay Christensen’s books of course are foundational for the work we end up doing but I’d say maybe the book I would recommend is one by Lawrence Bossidy and Ram Charan which is Execution. It’s a book on execution that really allows people to think about the importance of no matter what strategies you end up having, it’s the execution of that you need to be doing which is even more important than I think that all organizations have a challenge when it comes to making sure that we’re effectively executing on the stuff what we’re doing. And that’s the challenge the world trying to work on. Saul Marquez: That’s powerful Chris I’d totally agree with you and I think it’s a great recommendation listeners, outcomesrocket.health in the search bar type in Chris Cornue or type in Navicent Health and you’ll find the entire transcript show notes as well as links to the things that we’ve discussed including the book recommendation. Chris this has been tremendously fun. I love if you could just leave us with a closing thought and then the best place for the listeners could get in touch with you. Christopher Cornue: Absolutely this has been a lot of fun. Thank you Saul for having this conversation. I’d say that the closing thought is thinking about creating change recognize that there is a continuum of innovation there’s a continuum of change you can create. Don’t be limited by just what you think somebody else is doing. Find your own path towards making that change happen. Jump on that continuum wherever it makes sense for you and then work towards creating that change. And the last thing I’ll say is that again the future of healthcare is global. The more that we can do to share, what’s the best practice but then also collaborate beyond our borders, the better we have to actually create that change to create those healthy communities for everybody. So those are my closing thoughts. Christopher Cornue: Probably through my Twitter handle which is @cornue. Saul Marquez: Outstanding. Hey Chris. Just want to say thanks again for carving out some good time with us. It was fun. Thank you. Christopher Cornue: It was all thanks so much appreciate it. The above audio transcript of “Joining Innovation and Strategy for Improved Outcomes with Christopher Cornue, Chief Strategy & Innovation Officer at Navicent Health” was transcribed by the best audio transcription service called Sonix. If you have to convert audio to text in 2019, then you should try Sonix. Transcribing audio files is painful. Sonix makes it fast, easy, and affordable. I love using Sonix to transcribe my audio files.